Reseñas de la Guía Prepublicación Teresa Moure. César Santiso. Joám Evans. Antón Sánchez. Carlos Taibo. Pedro Prieto. Una vez publicada Xosé Veiras. César Lorenzo Gil. Rebeca Fernández Hermo. Carlos Calvo. Mario Rosano Alloza. The book contains reprints of Prof. Bartlett’s papers on exponential arithmetic, energy, population and sustainability. Also included are related major articles by M. King Hubbert and L. David Roper. Publisher: Center for Science, Mathematics & Computer Education, University of Nebraska. Reseñas John Attarian (The Social Contract). Internal Combustion is the compelling tale of corruption and manipulation that subjected the United States and the world to an oil addiction that could have been avoided, that was never necessary, and that could be ended not in ten years, not in five years, but today. 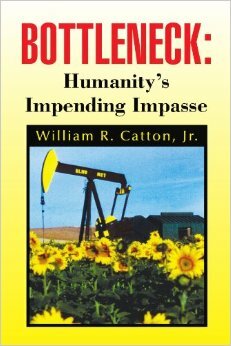 COOKE, RONALD R. (2004) Oil, Jihad and Destiny: Will declining oil production plunge our planet into a depression? CORREA, JAIME (2008): Self-Sufficient Urbanism: A Vision of Contraction for the Non-Distant Future. 2ª ed. data de 1991. EVE (ENTE VASCO DE LA ENERGÍA) (2008): El petróleo y la energía en la economía. 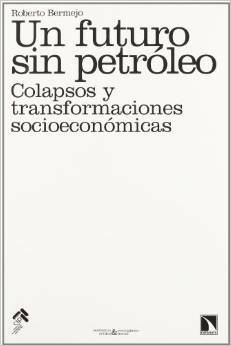 Los efectos económicos del encarecimiento del petróleo en la economía vasca. Autoedición digital. URL: http://www.farnish.plus.com/amatterofscale/index.htm También disponible en Archive.org. “Time’s Up! An Uncivilized Solution To A Global Crisis” is the print version of A Matter Of Scale, published by Green Books in the UK, and Chelsea Green in North America. Edición póstuma a cargo da súa familia. Reseñas. 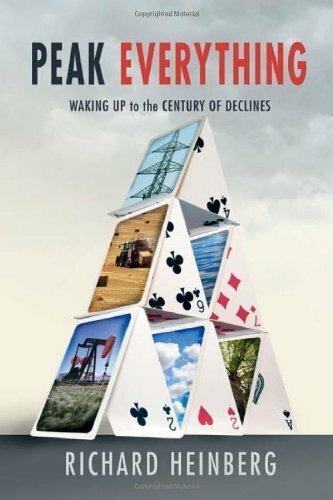 An updated edition of this bestselling book on the end of oil — and its consequences. Notas Existe una traducción al español, pero bastante deficiente. Vol. 1: The Problem of Civilization. Vol. 2: Resistance. Página del libro en la Wikipedia: https://en.wikipedia.org/wiki/Endgame_%28Derrick_Jensen_books%29 Web oficial: http://www.derrickjensen.org/work/endgame/ Reseñas: http://www.derrickjensen.org/work/inspired-works-reviews/#endgame Documental basado en el libro: End:Civ. Página del libro en la Wikipedia: https://en.wikipedia.org/wiki/World_Made_By_Hand Continuada en The Witch of Hebron. McKENZIE, JIM (1996): Oil as a finite resource: When is global production likely to peak? Página del informe en el web del World Resources Institute. 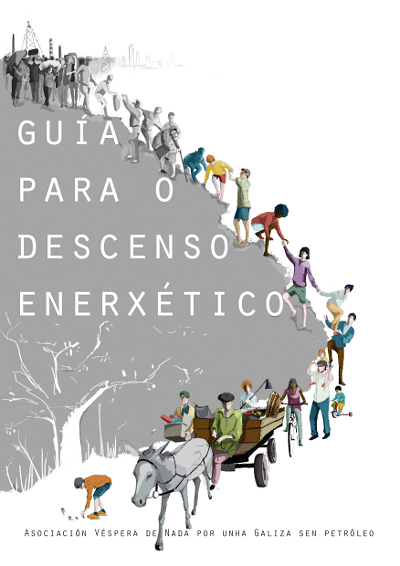 Reseña en el blog Energy Crash & the Limits to Growth. VACCA, ROBERTO (1974): The Coming Dark Age: What Will Happen When Modern Technology Breaks Down? La edición original en italiano es de 1971.